Entry Tickets Off Sale If buying tickets after 4pm for Tuesday – you will need to purchase your ticket at the box office. Tickets purchased online after this time cannot be scanned at the entrance and this may result in you having to buy another ticket. We're excited to announce the launch of The Video Show which will take place at the NEC in 2019. The Video Show debuts between 16-19 March 2019, co-located with The Photography Show, which returns for its sixth year. 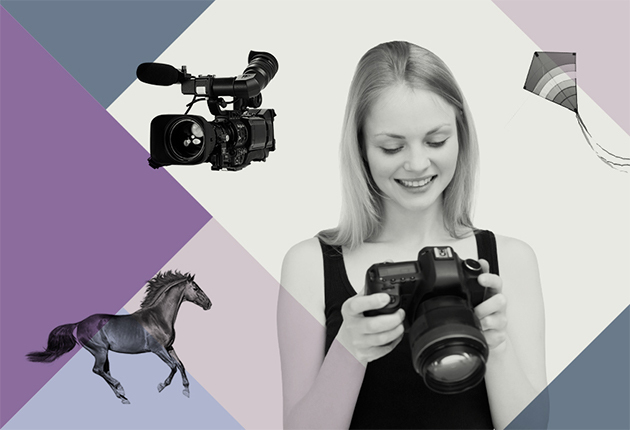 Whether you're a budding film-maker, a professional videographer, a vlogger or an online content creator, The Video Show has everything you need to expand your skills and your horizons. Get your hands on the latest kit, try out new techniques and learn about all aspects of videography from some of the best names in the industry. The Video Show covers all aspects of video and content creation; showcasing a multitude of brands and a dedicated programme of seminars, live demos and masterclasses throughout the four days. Student Day Tickets - Tuesday Only Off Sale Students must bring valid student ID with them if booking free Student Day tickets. Already Purchased Tickets? Add extra items You must purchase an entrance ticket for extra items to be valid - All visitors must have a show entry ticket in addition to Masterclass and Super Stage tickets.